Jeff Porada is the Global Director of Lean Six Sigma at Jabil. Jeff manages the “Business Process Re-engineering Team” from Jabil’s corporate headquarters, in St. Petersburg, FL. He is responsible for the strategically-driven transformation efforts of Jabil’s Corporate Functions and Capabilities, including: Information Technology, Human Resources, Finance, Legal, Supply Chain Management, and Engineering Technology Services. 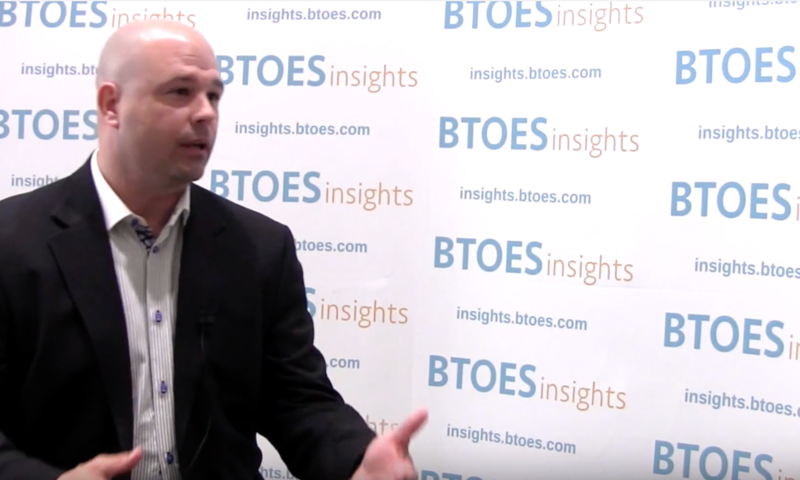 We sat down at BTOES17 with Jeff to discuss his session, "Engaging Leadership with Operational Excellence through Strategic Alignment and Visual Management". Jeff has 20 years of professional experience of working in various industries with the ability to successfully influence and positively impact a culture at the leadership level of an organization to embrace a philosophy of continuous improvement. Jeff has a demonstrated track record of engaging leadership in operational excellence to drive business transformations resulting in significant financial savings and operational performance. How Do You Engage Leadership in Your Operational Excellence Journey?